In the 1950s, Yaro Kolar and his sons Jerry and Dennis ventured into supplying fine meats and sausage products in Cleveland, Ohio. Then the family owned and operated business called K & K Meat Shoppe Inc. began. Young and adventurous, Jerry and Dennis opened their own K & K Portage Market on Warren Road. 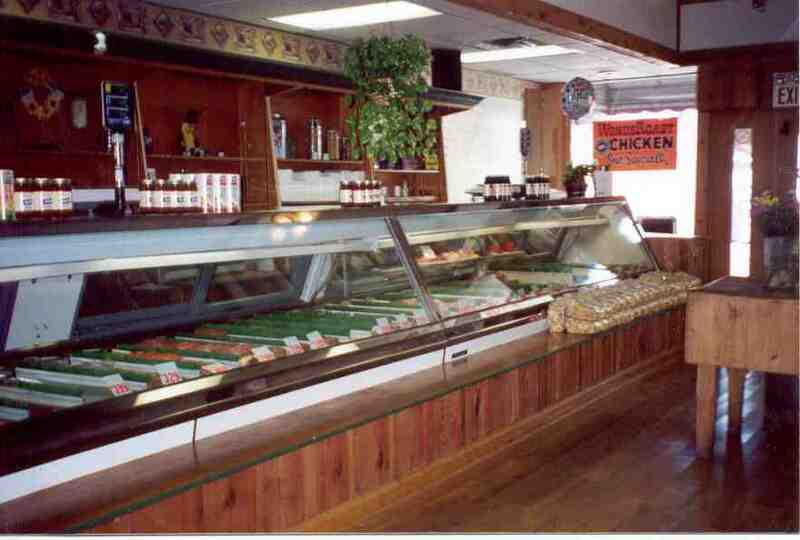 Dennis then branched out in 1979 establishing K & K Meat Shoppe in Maple Heights, Ohio. Dennis, then became Dennis Senior, and his very own family proudly continued the tradition of fine meat and poultry, full service deli and bakery. In 2001, Dennis Sr. and Dennis Jr. opened a branch in Mantua, Ohio. The shop has a wood-burning smokehouse where the Kolars make all of their own smoked goods that include baby back ribs, beef sticks, jerky and ham. They bring to Mantua all the family specialities, reflecting the Kolars Bohemian and Hungarian heritage, like Hurkas, a Hungarian rice-ring sausage, Jeternice, Bohemian wieners, cottage hams, Sekanice, fresh sausages including Polish kielbasa, Hungarian Kolbaz, Italian sausages, and a variety of side dishes such as potato salad and stuffed cabbage. Glazed hams, beef rib roasts, crown roasts, and party trays are also their specialty. They also have a wide array of pies, breads and bakery from A&K Bakers in Middlefield for you to choose from. As there are no supermarkets in Mantua, the Kolars added a small section of non-deli goods in their store. Having served the people in their community for 50 years, K & K Meat Shoppe continues to live in the highest and best quality products. Its beef is always USDA Choice or higher quality, pork is Daisyfield brand, and its poultry is Grade A fresh produce. The Kolars wish to invite you and your family to their store. Please come in. Welcome to our meat shoppe. 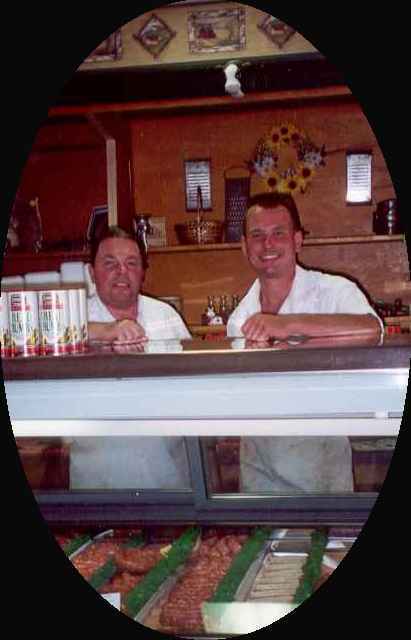 The men behind the meat shoppe. Meet father and son Dennis Sr. and Dennis Jr.